Star Wars X-Wing Miniature Game is a miniature war game that features tactical ship to ship dogfighting between various Starfighters. As for Star Wars X-Wing Miniature Game, they are two particular elements that separates itself from the other competitions. Those two elements are the unique maneuver dial and the attack and damage system. Each craft has a unique maneuver dial given to it. The craft would have to make use of this maneuver dial to secretly plot its movements. This element adds a sense of suspense and also adding strategic decision making with it. This design element does path gateways for power play to be made. The other new design element would be the attack and damage system implemented in it. 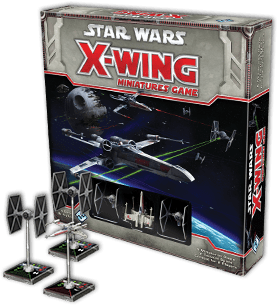 Unlike other miniature war games, Star Wars X-Wing Miniature Game calculates the damage sustained by a unit by having both parties, the attacking and the one being attack to roll numerous dice based on their stats. The outcome of the dice rolled would determine the damage sustained by the unit (if any). 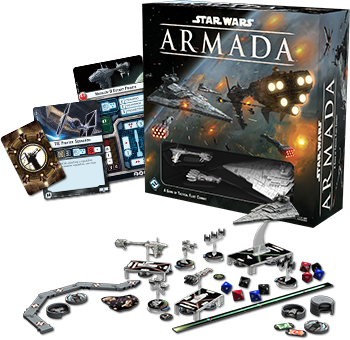 Star Wars Armada is very much similar to Star Wars X-Wing Miniature Game. One major difference you can see between both would be that Star Wars X-Wing Miniature Game had simplified rules and made it easy to learn it but Star Wars Armada is adding more rules in now to make it more complex and diversify the gameplay options and the strategies. Besides that most of the features are similar between Star Wars Armada and Star Wars X-Wing Miniature Game. 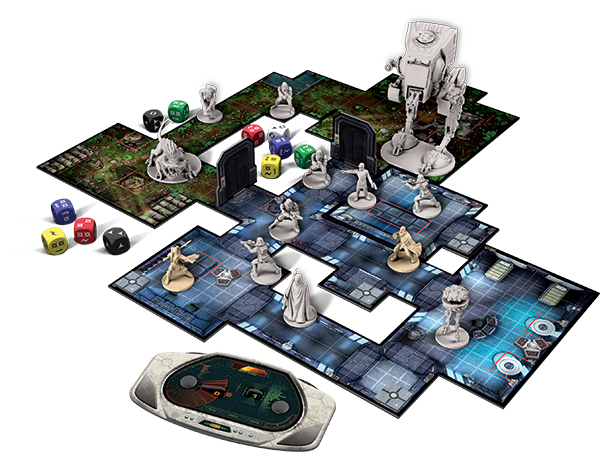 Star Wars: Imperial Assault is a two to five players, strategy board game of tactical combat and missions which also require miniature figures. Star Wars: Imperial Assault offers two distinct games of battle and adventure in the Star Wars universe. There are two specific game mode. Player can either choose to play Campaign mode or Skirmish mode. Campaign mode shows off the Imperial which is controlled by 1 person against Heroes of the Rebel Alliance which is controlled by 1 to 4 players. Skirmish mode will be a typical 1 vs 1 game. The rules are similar if not the same for both the Campaign Mode and the Skirmish Mode. In a Campaign Mode the player playing as the Imperial would have to delay the progress of Heroes of the Rebel Alliance and make sure that they are not able to complete their campaign mission. If they can delay long enough, Imperial will see victory in the game .The heroes of Rebel Alliance would have to fulfil their campaign mission within the time limit (number of turns). In Skirmish Mode, it’s old school style. Deploy your troops, fight and eliminate your enemy, last remaining troop or unit will win it for their team. All of Star Wars miniature war games are very well designed and are a favourite among miniature war gamers. All the Star Wars miniature war games does help in giving options as all the games are different in playstyle, troops, and cost. It’s unpredictable gameplay, along with new and unique mechanics , not to mention the well-defined universe of Star Wars , makes it a must have for all miniature war gamers and Star Wars followers.